A screening of the New York Metropolitan Opera’s production of Adriana Lecouvreur will be held at St James Cavalier Cinema, Valletta, tomorrow at 2.30pm. Based on a play by Eugène Scribe, the opera is inspired by the real-life intrigues of famed 18th century French actress Adrienne Lecouvreur and her lover, the legendary soldier Maurice of Saxony. 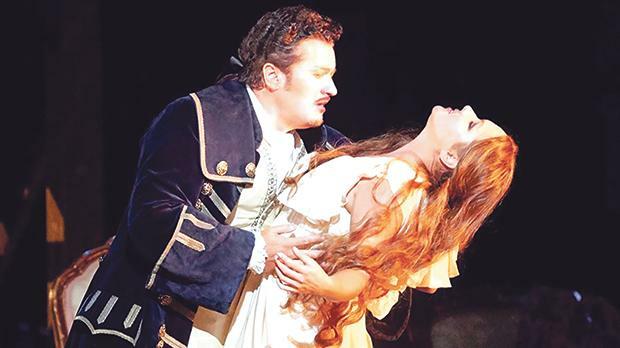 Cherished by its fans for the dramatic possibilities provided by the lead roles, the opera is a deft combination of frank emotionalism and flowing lyricism, with pseudo-historical spectacle. Francesco Cilea’s operatic retelling quickly became a favourite of charismatic soloists. Soprano Anna Netrebko stars as the title character, a quintessential diva role, while tenor Piotr Beczala is Adriana’s lover, Maurizio. The Met Opera’s production of Adriana Lecouvreur will be screened at St James Cavalier Cinema, Spazju Kreattiv, Castille Place, Valletta, tomorrow at 2.30pm. For tickets, visit www.kreattivita.org .